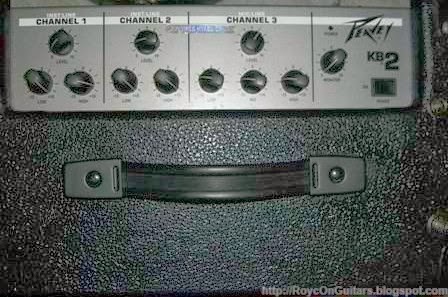 My first acoustic amp was a 4-channel Peavey KB2. I sold it to get funds for a tube amp, and then bought a Samson Auro D210 powered speaker when I needed an acoustic amp again. An acoustic amplifier is a compact system that has both a microphone and one or more acoustic guitar inputs. Unlike electric guitar amps, acoustic amps do not boost some frequencies and they have wider frequency range. Those with separate tweeters can also provide better highs. However, my KB2 had no tweeter and I find it heavy at 15 kg. While looking for a replacement acoustic amp, I realized that I need more inputs, more power, and with a separate tweeter. However, the ones I found were heavier than my KB2 and they only have one XLR input. Clearly, the usual 4-input channel is no longer a selling point for me since I need a separate mixer for additional mics, and I want something lighter. I read about using powered speakers as acoustic amplifiers and got curious about the possibility. I initially considered getting powered monitor speakers due to their flat response, but they require desks or speaker stands. You cannot point them towards you when you put them on the floor and they do not have carrying handles. I also find them fragile, at least from their physical appearance. I would not want to throw them at the trunk of my car for fear of damaging them. A powered speaker is a combination speaker and amplifier that are used in sound reinforcement. This means that the output’s frequency response is relatively flat, though not as flat as monitor speakers. 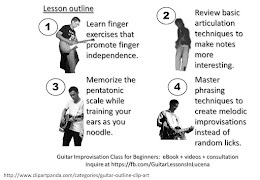 They are also designed to produce the full musical range. Optionally, a subwoofer can be added for deeper bass. Typical powered speakers use lightweight amplifiers and sturdy plastic cabinets. That makes them very easy to carry and safe for transporting. My Samson Auro D210 is only 8.5 kg. Powered speakers have an XLR output for connecting to another powered speaker or to the house PA. Most offer versatile floor placement options, allowing you to position them on the floor towards you as a monitor speaker, or pointing to the audience on a speaker stand. The only problem is that most can accept an XLR or a line input, but not both at the same time. It is not a problem in my case since I already have a mixer. Do I miss my KB2? The KB2 is still easier to set up for a single mic and acoustic setup. However, the mixer and powered speaker combination is still the most flexible, not to mention that my back is not complaining when I take it out from storage.